Question: How does a Rent-To-Own program work ? Consult with us for qualification and property searches. Choose and visit a property that you are interested in. Agree to all terms of the contracts and submit deposit. Deposit consists of first month's rent , purchase option premium, and any security deposit and/or pet fees. Upon acceptance of contracts, have inspections done (recommended). Upon acceptance of inspections, sign final documents. Enroll in credit restoration program (recommended). Get keys and move in ! Question: What are the benefits to a Rent-To-Own program as opposed to waiting to qualify for a loan to purchase a home outright ? You can move into the house you want to buy NOW knowing that the purchase option premium is going towards the purchase of said home. Faster move in time. When you get a bank approval for a loan, it typically takes 30-60 days to closing (sometimes as long as 90 days). Because a Rent-To-Own begins a rental, instead of 1-2 months to move in, its more like 1-2 weeks before move in. With a Rent-To-Own program, you can enjoy the home you want to buy NOW and take your time to restore your credit, save up for additional down payment and/or closing costs and/or shop around for the loan that is right for you. Most home buyers don't have the luxury of being able to shop around for the best loan. Since you'll already be living in the home that you want to buy, you'll be able to make the banks work for YOU in offering the best terms because they know you are shopping around. 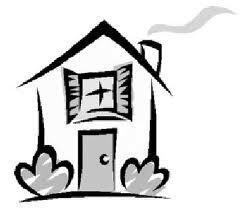 Possible seller concessions: During the term of the lease with purchase option (also called the 'lease/option term'), additional "credits" may be available on the purchase of the home. These include "rent credits", "improvement credits" and "early close credits". These are cash back at closing to pay for closing costs. For more information on these seller concession "credits", see Terms and Conditions. Question: What is the qualification process to be accepted as a tenant-buyer ? Answer: The qualification process is simple. We examine your proof of income (pay stubs, bank records, etc.) to verify that you can afford the property you're intetrested and run a tenant screening report to verify information on your rental application (we use Tenant Tracks). If your credit score(s) are low, we recommend a credit restoration program so a strategy can be set up to help you meet your goals. We also refer you to one of our recommended lenders to see where you stand in respect to getting a mortgage. There are some that could not have gotten a mortgage without one of our recommended lenders ! Question: How is the property secured ? Answer: A property is not taken off the market until funds are in escrow with the Landlord and contracts are signed. Rarely is someone NOT approved because Rent-To-Own programs are designed for flexibility in damaged credit and special situations. The main challenge is other tenant-buyers beating you to the punch. Question: What contracts are signed to seal the deal ? Answer: Rent-To-Own programs are also referred to as Lease Purchase, Lease Option, Lease with Option (or Exclusive Option) to Buy or Lease with Option (or Exclusive Option) to Purchase transactions. These contracts include a Residential Lease and a Purchase Option (plus usually a Purchase and Sale agreement). You get the price and terms locked in for 12 months, 18 months, 24 months or in certain situations longer, depending on the optionor (seller). Question: What is the average purchase option premium required ? Answer: Each seller and property is different. Typically, the purchase option premium (e.g. extra funds paid for the purchase rights of the property) is 2 1/4 -10 % of the purchase price. This purchase option premium can be paid in full up front with or without additional monthly or annual rent, in part up front and in part with additional monthly or annual rent or all as additional monthly rent. As with all terms, "everything is negotiable". Usually, the higher the purchase option premium (especially if it's MORE than the minimum), the more flexible the sellers will be on the terms. On top of that, it's easier and quicker to qualify for a loan because the purchase option premium is applied to the purchase price (there are 3 ways that this can be done) when you buy your new home. In order to be competitive with other tenant-buyers, we encourage you to save up at least 5 % of the purchase price (plus full first month's rent (and security deposit if required)). It's not that the seller couldn't work with you for less, it's just likely that there could be another tenant-buyer who will offer at least those amounts. For more information regarding purchase option premiums and other terms, see Terms and Conditions. Question: What happens if my offer is rejected ? Question: If I am rejected for some reason or if I change my mind before signing the official contracts, how long does it take for the deposit funds in escrow with landlord to be released back to me ? Answer: Escrow funds are immediately refundable upon request. We simply send a release document to the escrow company of the landlord. Then you can either pick up the funds, have them mailed or have them wired to you (for a small wire fee; around $20). Acceptable forms of payment are generally money order, bank check or certified check (no personal checks or checks drawn from a credit line please) so there will be no holds on the funds. For example, if you deposited a local personal check and then requested a refund one week later, you would most likely have to wait 1-2 weeks for verification to be received that your original funds cleared. But, with a money order, bank check or certified check, there will typically be no delay. Question: Will I receive a "rent credit" ? Answer: Maybe. What is commonly referred to as a "rent credit" may be available. What this means is that, let's say for example, the seller agrees that for every monthly payment made by the 1st of the month, the purchase price will be reduced by $100.00. This $100.00 is then referred to as a "rent credit" but technically it's not a credit but instead it is what is known as a 'seller concession' (cash back at closing to pay for closing costs). Continuing with this example, let's say you purchase the home during month 12 of your agreement and ALL rent payments were paid on or before the 1st of each month. The seller would then reduce the outstanding balance on the purchase price by $1,200 (12 x $100). Thus, if the remaining balance on the purchase price was originally $200,000, it would be reduced to $198,800 and you would get the $1,200 back for closing costs. See Terms and Conditions or CONTACT US for more information on "rent credits"
Question: Is the purchase option premium applied towards the purchase price ? Answer: Yes !!! All of this amount goes towards the purchase price (as down payment, closing costs or price reduction) of the house !!! This, along with any "rent credits" or other credits (for more information, see Terms and Conditions) can significantly reduce your purchase price. Question: When it comes to a move-in date, what day of the month do you recommend ? Answer: You can move in on the 1st, mid-month or any other day that suits you best. You submit the full first month's rent prior to move-in and the exact starting date of the lease is negotiable. Lease may also be prorated if move in date occurs mid-month. Rent prorations are credited on 2nd month's rent, not first. Question: When should I start looking at Rent-To-Own homes ? Answer: Since Rent-To-Own homes typically go fast, we recommend to start looking at them when you're moving date is about 30-45 days out, 60 days tops. One thing we do not want is to show you a home that you totally love and want, but then someone who can move in sooner takes it off the market before you are in a position to move. While it is possible to have a seller hold a property for you, some form of option reservation deposit would be required (of which some or all may be non-refundable). It all depends upon exactly how long you would like the seller to hold the property for you. Question: Am I financially responsible for repairs during the rental period ? Answer: It depends. We recommend a Home Warranty. Now, we recommend that the seller purchase this warranty and the tenant-buyer (you) pay only the deductible (usually about $50 per claim). Sometimes, the seller will already have a home warranty in place prior to your move-in. Other times, the seller will get a home warranty at the beginning of the rental period. And in other cases, a seller may opt not to have a home warranty, for example, when a property has been completely renovated (everything is brand new) because everything is covered by the manufacturer's warranty. Also, in cases where the seller opts not to have a home warranty, you may want to get one instead. Now since a home warranty begins 30 days after payment is received (to the home warranty company), during this first 30 day period, the seller would be responsible for anything and everything major or minor. After this first 30 days, you would be responsible for the home warranty repair deductible or if there is no home warranty (and no manufacturer's warranty) the actual repair cost(s). Please check out our Home Warranty page for more details on what is usually covered, not covered, etc. Question: Can I have the house inspected by someone before making a decision ? Answer: Absolutely. We highly recommend it. We even have a list of recommended inspectors. Just let us know when you would like the inspection and we'll make sure the property is accessible. Matter of fact, once the lease with purchase option agreement begins, the property is considered accepted in 'as-is' condition meaning there is no inspection contingency period (e.g. an "escape clause" to get out of the purchase and sale agreement without losing the purchase option premium) so any inspections must be completed BEFORE the start of the lease/option term. For more info on inspections and our recommended inspectors, click here. Question: Can I run my business out of the house ? Answer: Generally yes, but on a case-by-case basis. Typically, businesses that get turned down are day care businesses due to liability incurred for the property owner. Question: Does the owner have a mortgage on the property ? I've heard of cases where tenant-buyers have been evicted due to the owner's failure to pay the mortgage. Answer: We have also heard of these cases. So, to protect you against this sort of thing happening, we can arrange a 'tenant-buyer assurance' program in which your rent payments go to an escrow service which automatically pays any mortgage(s) which may be on the property. And furthermore, just like you go through an application process, so do our sellers ! Not only do we verify that any mortgage is current at the time of initial marketing but we also verify it again before you move in. On top of that, we also make sure that they are current on taxes, water bills and HOA dues (if applicable). We generally will not work with sellers who are behind on payments or are "underwater" in their properties. ("Underwater", also known as "upside down" or "negative equity" is a term that means more is owed on the property than its Fair Market Value. For example, if a property's Fair Market Value is $100,000 and $120,000 is owed on it, it is said to be "underwater", "upside down" or have "negative equity".) We also make sure that the title is clear, marketable and insurable prior to the start of the lease/option term. Properties should be able to appraise properly at projected option term. Question: I have Section 8. Will I qualify for a "rent-to-own" ? Answer: While Section 8 can pay the rent, it may not pay the purchase option premium. Also, Section 8 may not pre-approve you for a mortgage. There are rumors that Section 8 can get you a mortgage and pay the purchase option premium. However, all such claims are unsubstantiated. If you have proof that this is true, please CONTACT US . Question: Would I need renter's insurance ? Answer: Maybe. This is solely at landlord's discretion. Some require renter's insurance, others do not. However, if renter's insurance is not mandatory, you would still have the option to get renter's insurance. For more information regarding renter's insurance, click here. Question: I am a first time home buyer. When I am ready with my loan to finally purchase the home, what would closing costs be when it is time to purchase the property ? Therefore, expect closing costs to be 2-6 % of the contract price. However, with seller concessions from purchase option premium and credits (rent, improvement and/or early close), these could all be paid at closing for you ! For more exact closing cost estimates, please seek the advice of your attorney and/or lender. We have no idea what the loan fees will be, as they are totally dependent upon your lender. However, it is possible to negotiate these fees down. Furthermore, if you use one of our "golden needle in a haystack" lenders (for further information on these, see the Financing page, or CONTACT US), we are confident you'll be getting the best deal possible.